It was 2 a.m. on February 24, 2009, and six years of George Mount’s work had just launched toward space. 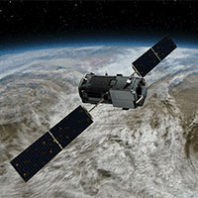 Mount, then a physicist in the WSU Department of Civil and Environmental Engineering, had been part of a team led by NASA’s Jet Propulsion Laboratory to develop the Orbiting Carbon Observatory (OCO), a sophisticated instrument to measure carbon dioxide from space. Science has been predicting and measuring our warming planet for more than a century now. But it was only in the last two decades that most Americans came to believe the earth’s temperature was indeed rising and that the main culprit is the growing amount of carbon dioxide in our atmosphere.